Have you been looking for a large selection of used cars trucks for sale in Terre Haute, Indiana but are not sure where to start your search? Wanting to find your nearest car dealership in Indiana with many used cars for sale? If so then you need to come to your local used car dealership in Terre Haute, Indiana Terre Haute Auto and see one of the many used cars for sale. Terre Haute Auto is known for having a large selection of used cars for sale with everything from Dodge SUVs for sale, to used minivans for sale and everything in between. Here at Terre Haute Auto, we have a team of people who are happy to answer any and all questions you may have about one of the many used vehicles for sale in Terre Haute, Indiana. 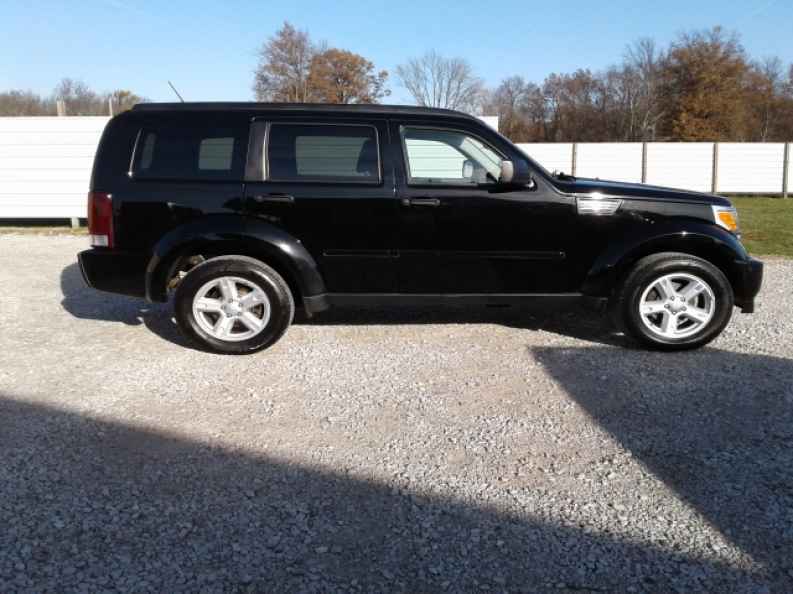 That includes questions about one of the many used SUVs for sale in Indiana like the Dodge Nitro for sale. This Dodge for sale is the perfect combination of sporty and rugged. Giving you the best of both worlds with its storage space and compact size. This Dodge SUV for sale is ready to take on whatever your life throws at it and is sure to turn heads as you drive through the streets of Terre Haute, Indiana. The Dodge Nitro for sale comes with durable cloth seats and a leather-wrapped steering wheel. This Dodge for sale also comes with steering wheel cruise controls; now you can speed up or slow down without having to reset your cruise each time. This used SUV for sale also features a premium sound system and a Mp3 compatible radio that is ideal for listening to all of your favorite music. Take the guesswork out of knowing when to put air in your tires when you drive the Dodge Nitro with a tire pressure monitoring system. With the tire pressure monitoring system. The Tire pressure monitoring system lets you know when, how much and which tire needs air without all of the guess and check work. This SUV for sale also comes with many safety features that are sure to give you peace of mind as you drive through the streets of Terre Haute, Indiana. The Dodge Nitro for sale comes with electronic stability control, braking assist and traction control. This Dodge for sale features easy to fold down seats and ample trunk space. You can fit almost anything and everything you can think of into the back of this SUV for sale. Not only that but with a built-in roof rack you can go on road trips clutter free. Other can’t miss features included with the Dodge Nitro for sale are heated mirrors; a driver illuminated vanity mirror and a passenger sensing airbag. This SUV for sale is ready to take on all of your driving needs, whether that be going to and from work every day, running errands around town or getting the kids to school on time. 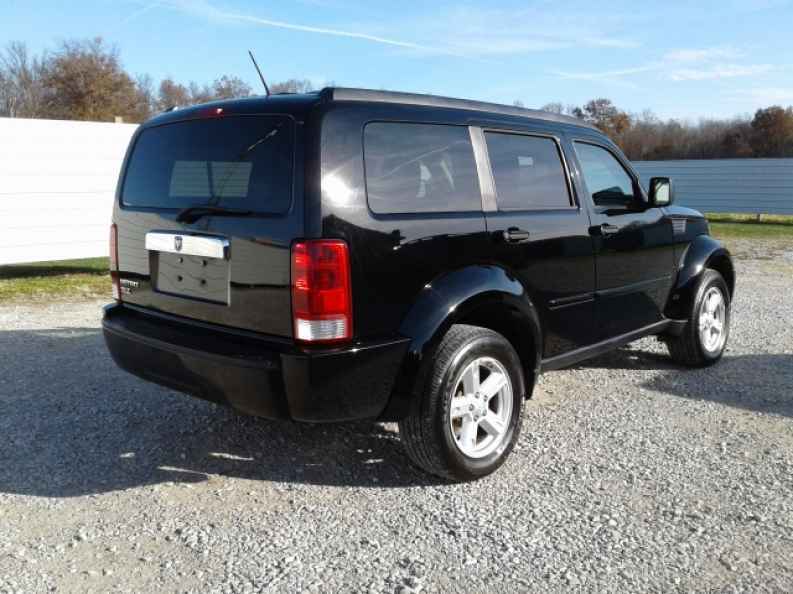 Come to your local used car dealership in Terre Haute, Indiana and see the used Dodge Nitro for sale and even take this Dodge for sale on a test drive. If SUVs for sale are not what you are looking for come and see one of the many other new and used cars for sale in Terre Haute, Indiana. When you are looking for car dealerships near you, come to Terre Haute Auto at 13350 S US Highway 41, Terre Haute, Indiana 47802.